Uttarakhand Polytechnic (JEEP) 2019 Online Application Form has been available from 20 December 2018. Likewise, Uttarakhand Polytechnic Entrance Exam is also called as Joint Engineering Examination Polytechnic (JEEP 2019) or Uttarakhand Polytechnic 2019. Uttarakhand Board of Technical Education Roorkee (UBTER) is the main conducting Authority which organises Uttarakhand Polytechnic Entrance Exam 2019. 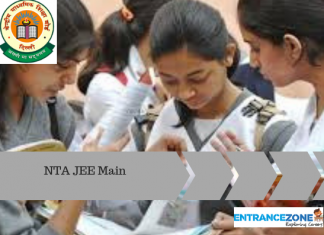 JEEP is a State Level Polytechnic Entrance Examination that is conducted for the admission in various Diploma programmes in the field of Engineering, Pharmacy, Fashion Designing, Hotel management, Catering technology etc. These dates are important event Dates (Tentative) for the Joint Engineering Examination Polytechnic. The official dates are yet to be released by Uttarakhand Board of Technical Education Roorkee (UBTER). Form for JEEP 2019 is available in both Offline and Online mode. Candidates can fill the online application form from 20 December 2018 onwards. For Offline Application form, candidates can fill from 15 January 2019- 28 February 2019. The application fee is Rs. 800/- for General candidates and Rs. 500/- for SC/ST candidates. Students can also buy the application form from the UBTER Office. The last date for the form submission is 15 March 2019. How to fill the Joint Engineering Examination Polytechnic (JEEP 2019) Application Form? It is necessary for the Applicants to fill their Personal, Educational, Communication and Course details during the Registration. Applicants are required to upload the scanned images of photograph and signature. No correction will be done in the Application form, after the successful submission. Multiple registrations for the same course/group is not applicable. Applicants have to fill the separate Application form, for applying in each group. Fee payment can be made through online (Debit card/ Credit card/ Net Banking) only. 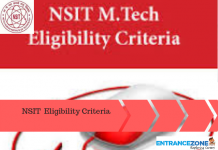 The Eligibility criteria for the Joint Engineering Examination Polytechnic (JEEP 2019) or Uttrakhand Polytechnic 2019.
class 10 or equivalent passed with science and mathematics subjects. Passed 10+2 or equivalent with physics, chemistry and biology/mathematics subjects. class 12 or equivalent exam passed with English subject. class 12 or equivalent exam passed. Must have English and Hindi subjects in class 10 or 12. Students must hold a Graduation Degree to apply. Class 10 or equivalent exam passed with minimum 35% marks. Passed class 12 with PCM subjects, 12 with vocation stream or ITI (two years) candidates are eligible to apply. The paper pattern for Uttarakhand Polytechnic 2019 is given here. The question paper of E group will consist of the Physics, Chemistry and Mathematics. The P group question paper will consist of the Physics, Chemistry, Biology and Mathematics. Duration: The time duration of the examination will be 02 hours. Syllabus: The syllabus contains the topics of Class 10 & 12. No of Questions: Total 100 questions are asked in the question paper. For Engineering & Technology Diploma: Questions will be asked from Physics, Chemistry and Mathematics subjects. For PG Diploma in Computer Application: The syllabus will comprise English Comprehension, Numerical Ability, Reasoning, General Intelligence and General Awareness. The syllabus will be of class 10 or 12 as per the courses. The syllabus is consist of different topics of Mathematics and Science, Physics and Chemistry. The topics will be asked from class 10 subjects. Some major topics are the General calculation of roots, Cube roots, Square roots, Distance, Speed, Newton’s law, All states of Matter, catalysis, Aromatic compound, etc. This section will contain topics from different subjects like Physics, Chemistry, Biology, and Mathematics. Candidates shall have options to choose any one subject from Biology and Mathematics. The syllabus will have a total of four sections and questions will be asked from Reasoning & Logical Discussion, Numerical Ability, Scientific Aptitude English Language and General Knowledge. This section will consist of various topics from English & Hindi Comprehension, Reasoning & Intelligence, Numerical Ability, and General Awareness. The syllabus will have total five sections such as English Comprehension, Numerical Ability, Reasoning, General Intelligence and General Awareness. The syllabus will be of class 10 level. The syllabus has been divided into three sections such as English & Hindi Comprehension, Reasoning & Intelligence and General Awareness. The syllabus will consist of various topics such as Mathematics, Physics, Chemistry and General Engineering. The General Engineering section will have topics like Mechanical, Electronics, etc. Firstly, candidates must find out all the details about the exam pattern and syllabus. Secondly, Candidate must prepare a timetable as per their suitability and prepare accordingly. Along with, make short notes for each subject and revise them one week before the Examination. Candidates can also take help from the previous year’s question paper to know more about the exam pattern. Don’t take the stress and take a healthy and nutritious diet at the time of preparation. The admit card will contain Information such as candidate Roll number, Name, Category, Date of birth and many other details regarding Examination. The written examination will be held on 28th & 29th April 2019. To check the admit card applicants need to enter their Application number or Name and Date of birth. The steps about how to download JEEP 2019 is given below. Visit the Official website link and then move further to Admit card page. Enter your Application number or Name and Date of birth and Click on ‘SUBMIT’. For instance, take 2-3 printouts of it and keep it safe till the declaration of result. The exam date, time, venue, reporting time, etc. Information like exam duration, subjects of the exam, subject code, etc. Candidates must read the complete instructions given on the admit card. The Rank list along with Result will be announced on the official Website. Candidates can download their rank card by entering their roll number. UK Polytechnic 2019 Result will be announced on 20 May 2019. On the basis of the merit list, candidates will be called for the counselling process. The merit list will be prepared on the basis of the marks scored by the candidates in the examination. After the declaration of Result, UK JEEP 2019 Counselling will begin. Counselling will start tentatively from the second week of June 2019. Candidates will not get the Call Letter separately. The counselling procedure is only in Online Mode. The schedule of computerised counselling is posted in the official portal or newspaper. At the time of counselling, the Student will bring their original documents for verification. Official Website for Counselling http://ukcounseling.nic.in/. The JEEP Counselling is conducted in various rounds, if the seats remain vacant in the first round, the second round of Counselling will be conducted. Qualified Candidates those who have not attended the first round of counselling can participate in the second round of counselling. The city and the exam codes are mentions below. Therefore, The exam code is used while filling the application form and choice of examination centre. For Engineering Entrance Exam read about JEE MAIN 2019.